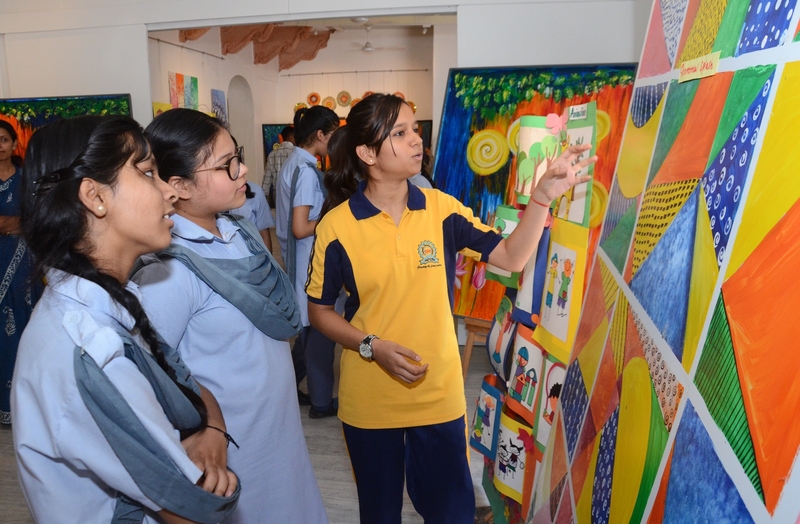 As part of the print making workshops frequently held at the Graphic Studios of Jawahar Kala Kendra (JKK), a 5 day Tie and Dye workshop is currently being held. Over 10 participants are taking part in the workshop. 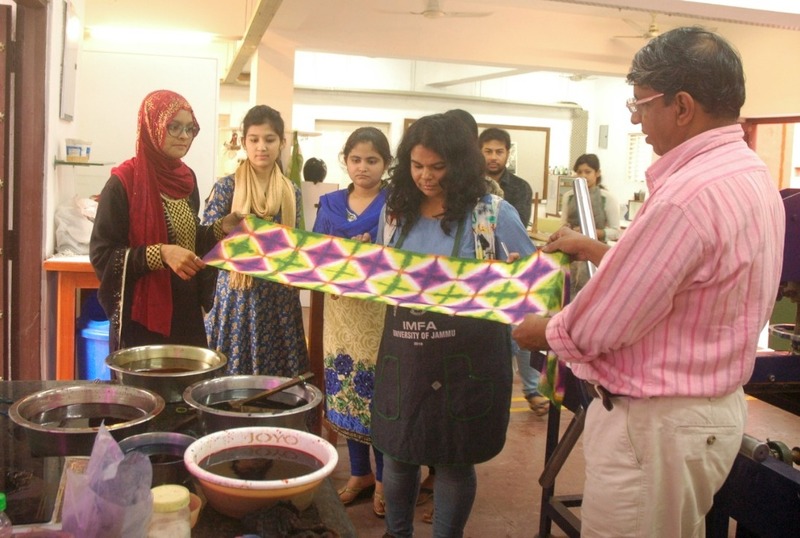 The workshop began with the participants being briefed about the Tie and Dye print on its history, styles and techniques. Participants were also informed about other popular prints like Mothra and Bandhej. The workshop then proceeded with the printing process which began with washing and treating the fine quality cotton cloth using water and Turkey Red Oil (TRO) to remove starch. Then the cloth was tied using clamps and threads and dipped into the color to dye. The process was then repeated by dying the other side of the clamped and threaded cloth with a different color. Later, the ties were opened and cloth was left to dry revealing beautiful prints. 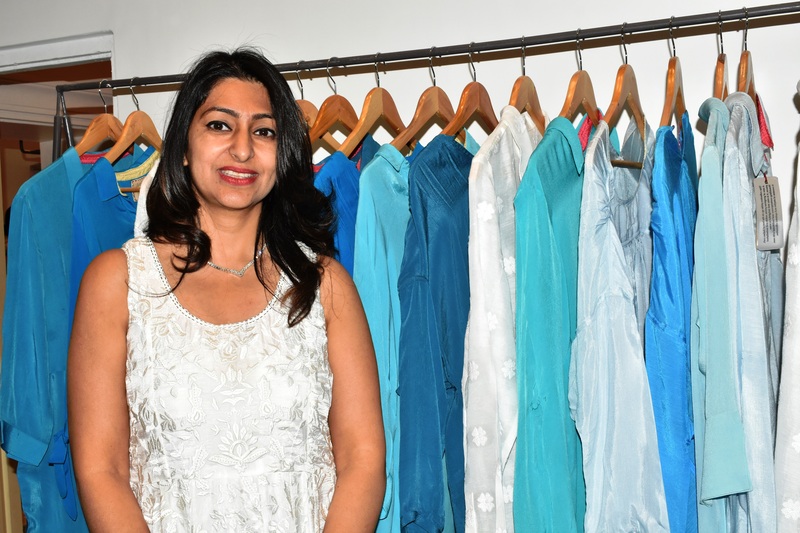 The facilitator of the workshop, Shilpguru Badshah, a recipient of various state and national awards for textile printing, informed that completely eco-friendly materials and methods are being used at the workshop in JKK. The dyes being used are Azo free which are herbal and non-toxic and do not harm the skin. After dying the clothes, salt is added to the dyed mixed water before releasing it into the waste, which neutralizes the herbal color and makes it harm free for the environment. He also stated that the youth was not taking much interest in these traditional printing due to long processes and traditional methods. However, with the techniques like clamping and use of convenient modern tools for boiling dyes and printing, it is again attracting the attention of youth.